This ragtag Oakland storefront at 23rd Street and Telegraph Avenue was at the geographic center of the original Art Murmur in 2006. 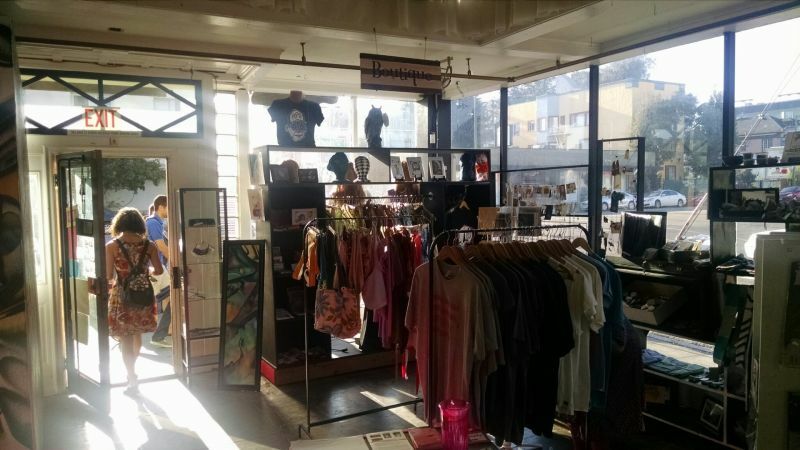 It’s an all-in-one art gallery, classroom, clothing shop and activist meeting space. 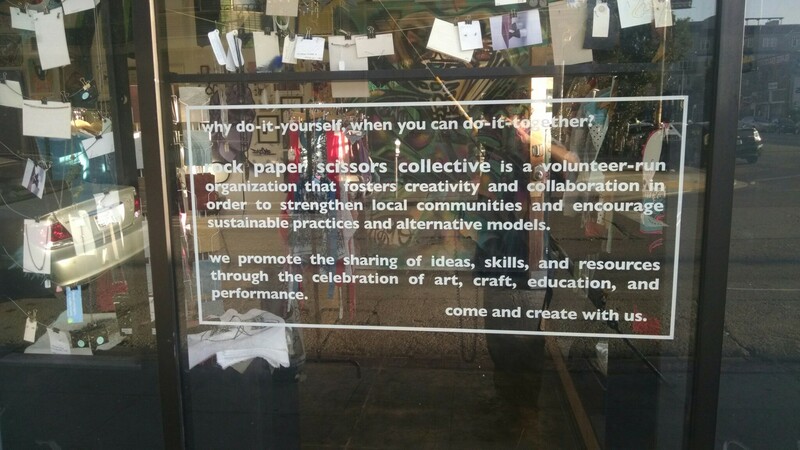 The volunteer-run collective operating Rock Paper Scissors exemplifies the city's social justice-seeking, DIY art and activism scene. But with Oakland rents soaring, they’ve been priced out of their space. August’s will be the last First Friday street fair and Art Murmur gallery stroll for the collective -- the last remaining organization of those that helped start the monthly festival almost a decade ago. 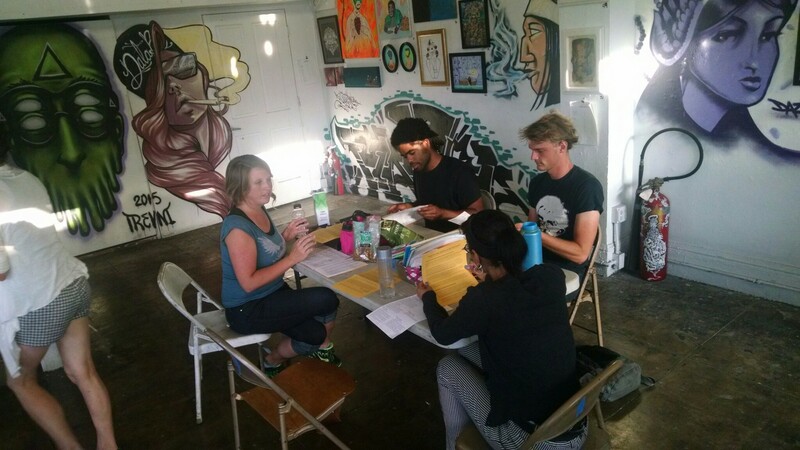 On a recent East Bay summer evening, volunteers gathered inside the storefront to learn how to become pen pals with LGBTQ prisoners. “It can get really complicated, because if someone’s legal name is John but they go by Jennifer, for instance, you have to put J or John on the outside of the envelope,” said Beja Alisheva, co-facilitator of Flying Over Walls, a queer/trans prisoner solidarity organization. There are lots of rules about how the envelopes sent into prisons can be decorated, so they won't be confiscated. “No glitter?” Louis Smith asked incredulously. The letter-writing get-together was just one of dozens of gatherings held at Rock Paper Scissors every month, ranging from writing workshops to a sewing lab and jewelry-making for teens. “When we first came to Rock Paper Scissors looking for a space, they said of course,” Alisheva said. “Obviously, we don’t have a lot of money. It’s not something that brings in a lot of revenue, but that didn’t matter to them." She added: "It was such a relief when we finally landed here, so now we’re not sure where we’re going to end up." That's a sentiment shared with the quirky, creative space's regulars. It’s becoming a common story all over the Bay Area. The artists who, in recent times, made a neighborhood "hip" are being driven out, in part due to their own success. “The neighborhood has changed a lot," said Kristi Holohan, the collective's youth, community and interim gallery director. "We are basically like sandwiched in between two bars, there are some really high-end galleries." Oakland Mayor Libby Schaaf said the plight of Rock Paper Scissors raises a much bigger question as the city continues to boom. Schaaf said the city’s “solutions are more limited” because state law prevents rent stabilization for commercial space. The mayor said she's creating a new Artist Affordable Housing and Workspace Task Force, but that’s yet to be staffed. Anyka Barber, who founded Betti Ono gallery in downtown Oakland, said the city needs to do more. “In order for it to continue to be a world-class city and build on the strengths that it has, especially around culture and arts, we really have to have the investment match the brand recognition," she said. 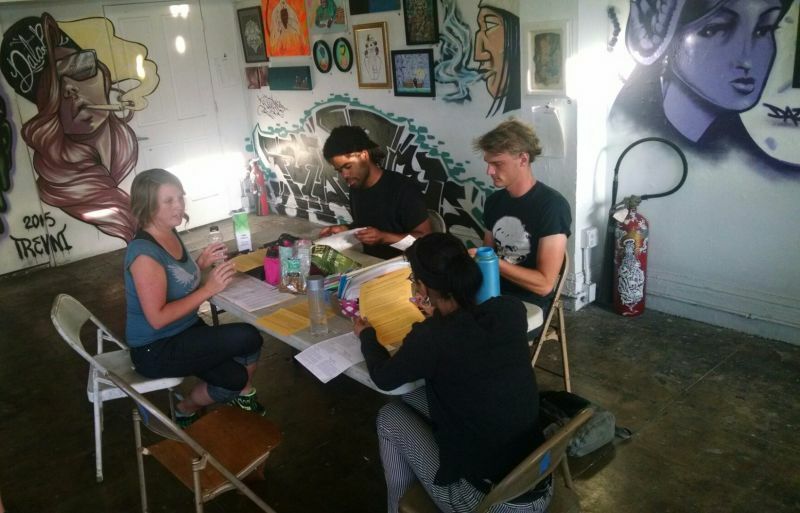 Barber is a lead organizer of the Oakland Creative Neighborhoods Coalition -- a newly formed group that’s calling for the re-establishment of Oakland’s Arts Commission, which had its funding and staff eliminated more than five years ago. The coalition's demands were left out of the recently adopted 2016-17 city budget. 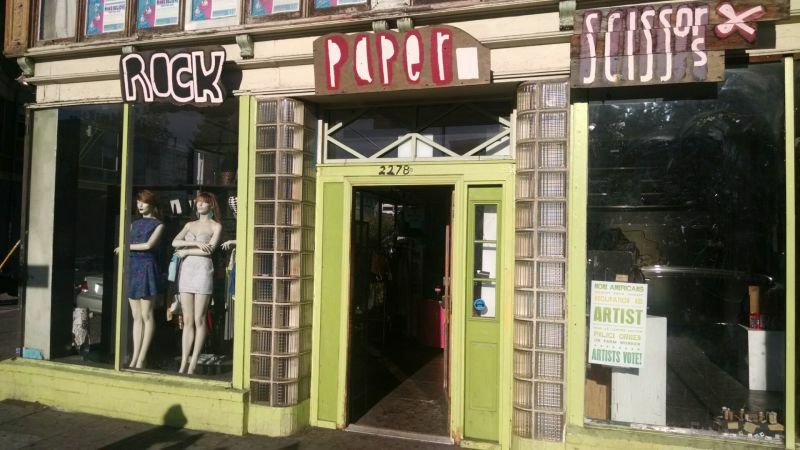 Rock Paper Scissors, meanwhile, has until the end of the month to find a new space or close up shop and try to raise more money. The collective is seeking volunteers to help pack up and move to a yet-to-be-determined location.